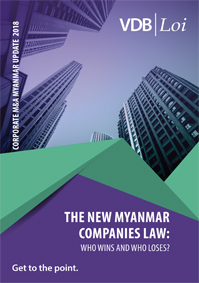 Although the Specific Goods Tax Law (“SGT Law”) which imposes Specific Goods Tax (“SGT”) on certain goods in Myanmar was enacted back in January 2016, the Specific Goods Tax regulations (“SGT regulations”) which provide detailed compliance requirements were only recently enacted in January 2019. As seen recently, the Royal Government of Cambodia (“RGC”) has been making a number of improvements in the investment regime in order to attract more investors and encourage existing investors to continue and/or expand their business operations in Cambodia. 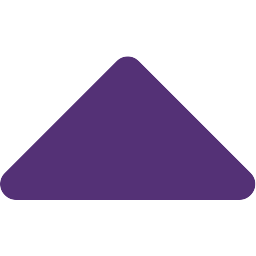 As you may be aware, according to the applicable regulations, employers of foreign employees are required to ensure that they obtain a work permit and employment card (“Work Permit”), and that such Work Permit is renewed with the Ministry of Labor and Vocational Training (“MLVT”) on an annual basis. What is your CIT position and how to prepare tax returns under the Self-Assessment System (“SAS”) vs the Official Assessment System (“OAS”)? What are the deductible expenses for CIT calculation? Is it necessary to prepare a separate annual return for CGT? Have you filed all of your quarterly SGT returns? Any penalty on late SGT payment and/or the return filing? Abolishment of WHT during FY2018–19: are there any impacts on our annual tax returns and tax audits? What are the main items the IRD looks at during the assessment process? Chin State Investment Committee is partnering up with the Myanmar Investment Commission, Chin State Government, Directorate of Investment and Companies, Chin State Chambers of Commerce and Industry (CSCCI), Dana Facility and VDB Loi Company Ltd. to boost investment in the state and to share information about the Myanmar Investment Law, Rules, Regulations and Investment Opportunities in Chin State. 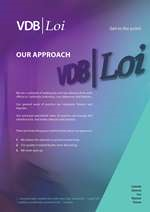 Supporting Myanmar’s travel industry: VDB Loi was chosen by a leading travel and tour company to assist with its legal and tax compliance in preparation for an incoming offshore investment. Banking on CBM’s regulatory changes: The Banking and Finance Team worked on a project related to the preparation of a template loan document for the issuance of subordinated debt. 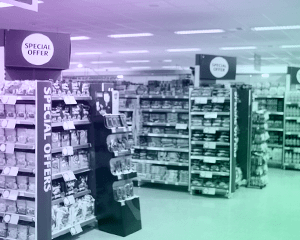 This follows a very recent issuance of a new CBM Subordinated Debt Directive No. 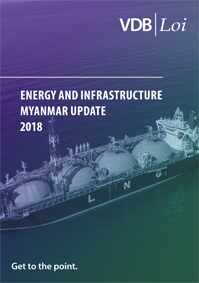 (3/2019) dated 24 January 2019, which provides for detailed requirements for subordinated debt that can be included into supplementary capital or Tier 2 capital of a Myanmar bank. 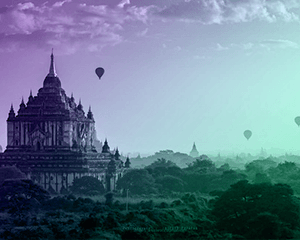 Company of Choice for Public Companies: Our firm’s expert tax consultants were chosen by one of Myanmar’s largest public companies this month. The team provided a review of the company’s accounting systems, compliance and tax obligations, as well as advice on restructuring. 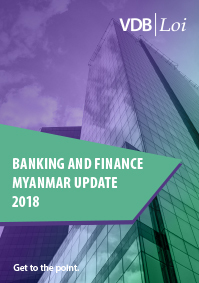 Microfinance expansion: Our Banking and Finance team continued to support the local microfinance industry in February, assisting with loans from two of Myanmar’s largest banks and several other offshore loans from development banks. VDB Loi co-organized the Chin State Investment Forum this month at the Myanmar Convention Center in Yangon. Myanmar’s Vice President U Myint Swe opened the event, and was joined on stage by MIC’s Chairman U Thaung Tun and the Chin State government’s Chief Minister Salai Lian Luai. Attended by over 800 people, the aim of the Forum was to help boost investment in Chin state and share information about relevant local and national laws, rules and regulations. Salai Lian Luai went on to deliver the opening talk, which focused on investment opportunities in the state. He discussing plans for the Kaladana multi-modal transit project, an infrastructure upgrade designed to increase trade with the rest of the country and improve access to key markets in Chin state. 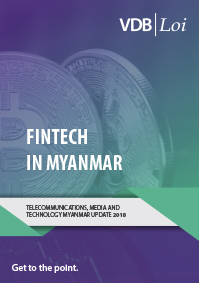 The Forum’s co-organizers included representatives from the Ministry of Investment and Foreign Economic Relations, the Directorate of Investment and Companies Administration, the Chin State Chambers of Commerce and Industry (CSCCI) and the DaNa Facility. U Phyo Min Thein, Chief Minister of the Yangon Region, was also a guest at the event.